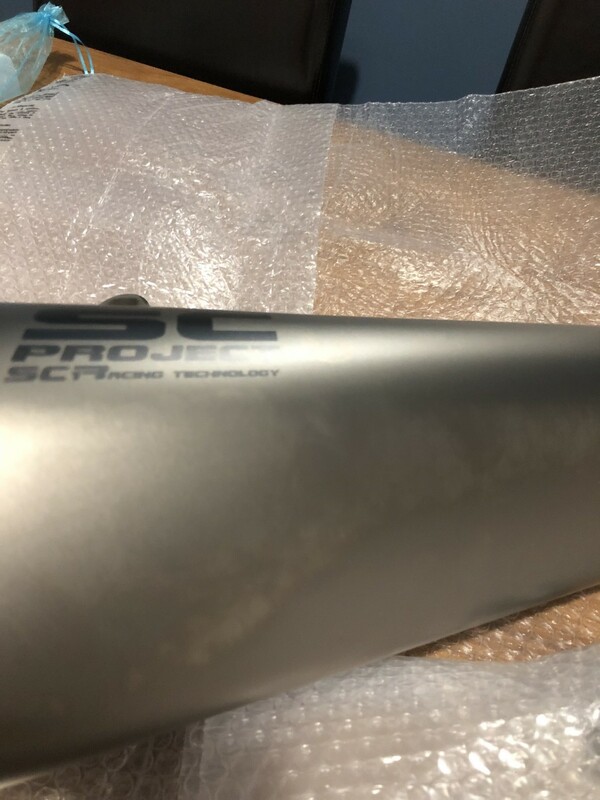 Yoshimura and Scorpion make good looking exhausts for the 765, sound good too from what I hear on YouTube. I have got a racefit growler exhaust on my 675. It is a work of art and fitting was a piece of cake. It is pretty loud though even with the baffle in so depends on whether loud exhausts are your thing or not. They sent me an exhaust and link pipe. That’s all. Nothing to fit it with. Also the exhaust was discolored and looked like it had been beaten or something. It had ring shaped marks on it. Not very happy at all. I am absolutely fuming as I paid for this exhaust months ago and have not had a working exhaust. Joy. Sounds - and looks - like you've been sold a real pup. 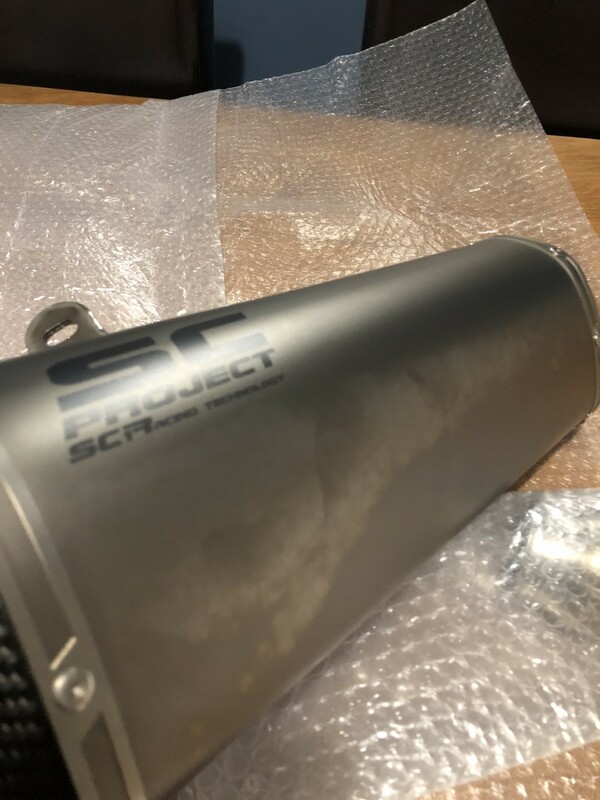 Were I in your shoes I'd be inclined to contact SC Project, ask them for a full replacement exhaust and fitting kit or a full refund under the "Distance Selling Regulations" stating that the supplied goods are not of merchantable quality. Do it straight away, if you're going to, as you're protected within a certain time frame - 14 days, I think. Personally, I'd also look for another exhaust supplier - preferably one with a known history or reputation for supplying decent quality items - Arrow? Dunno if they're available for your bike. My 10 penn'orth, and about what it's worth! 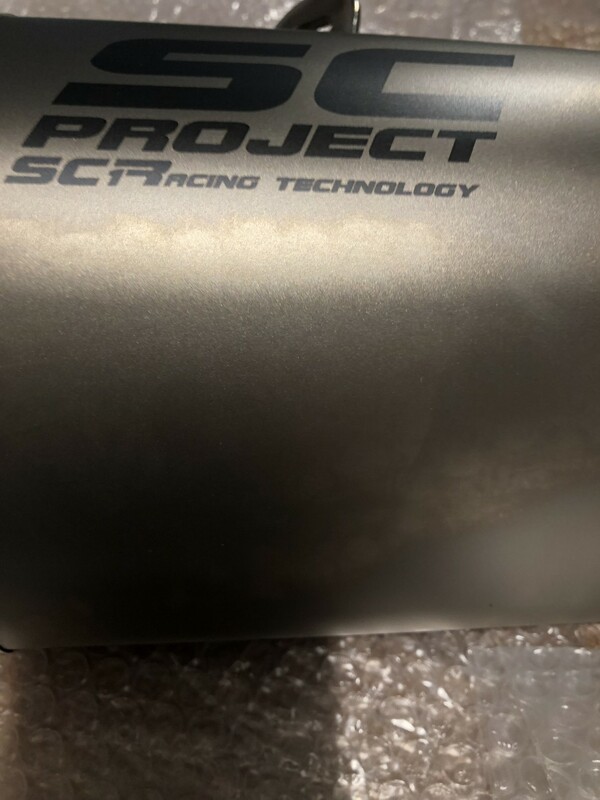 Hope you get it sorted ASAP, this has put me off getting a sc project pipe . Would you really notice a 6.4bhp power gain? I’m sure it’s the placebo effect, a bit like drilling your air box. Is this poorly manufactured aftermarket stuff really better than the OEM part which Triumph spent a small fortune developing. I bought an old Fireblade a few years ago with a Micron can and Dynojet kit, it was full of flat spots, I refitted an original exhaust, rebuilt the carbs with standard Honda jets and it felt like it had gained 25bhp. Plus it was just so smooth. No sure you would notice on the road but on track you would by the time you remove some of the road stuff etc plus get a decat and race filter. I done similar to my Daytona 675R it went from 116 to 124 bhp and it was very noticeable but I had had it remapped so all flat spots etc had gone it spun up so quick over the standard bike. I think the s1 is mega loud . Looks fantastic though . My previous bike a MV 800, I put a FM projects pipe on it and it was too loud really. Quite like the novelty of the arrow which is very quite. But think I would like a bit more noise now .